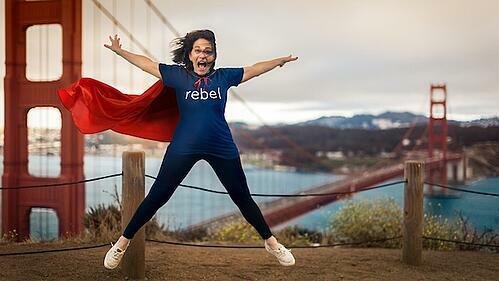 Could your employee recognition program use a little rebel in it? Let me ask you a question - if you were on a diet and week after week you failed to see any results, would you still remain on it? I doubt it. I mean, why waste your time, your money and your effort on something that’s not returning the results you need? Instead you’d find a new diet, one that actually works for you, right? So let me ask you another question - if your employee recognition program was similarly not returning the results you need, would you likewise try something different? You’d think the answer would be yes, but unfortunately too many companies are doing the same thing over and over again when it comes to recognition and no surprise, not seeing a change in the results. This is why a massive 8 out of 10 employees do not feel recognised according to a Bersin by Deloitte report. And it’s this number, this 8 out of 10 employees, that’s the reason why I want, rather I need, to tell you that we all need to shake things up and start doing things differently if we want to change these numbers — your employee recognition program? It needs a little rebel in it. Because the bottom line is that recognition matters. I like to think of it from two perspectives, an employee’s, and the company’s. The first is from an employee perspective, and to explain this let me tell you a story. It’s about my daughter Chloe, who was working as an assistant in an indoor play place. She saw a little girl who was all alone in a corner, so she went up to make sure she was OK. When the little girl said that she didn’t have anyone to play with, Chloe started playing with her, which brought other children over, who then started playing with this little girl. The father of the little girl saw this, and thanked Chloe for making such a difference in his daughter’s day and this experience. And how did this make Chloe feel? Well, over the moon!! And how about from a company perspective? Well to answer this, let’s see what happened next after Chloe received this recognition. As I said, she was over the moon, which translates into her working harder. 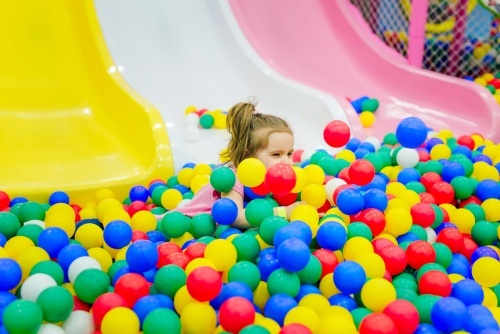 She felt this buzz and got all the kids in the soft play area playing fun games together, and having a fantastic time. Which translates to happy customers, ones that return to the soft play area over and over again. And this isn’t an isolated case. According to a Reward Gateway study, 72% of employees said that a simple thank you, like what this customer gave to Chloe, would make them feel more motivated and help build morale. In addition, according to Gallup research, 82% of employees said that praise and recognition are leading factors improving job performance. So bottom line, Chloe feels appreciated, Chloe works harder, the company reaps the benefits by happier customers AND the company is more successful. Not a bad math equation! So two things are clear here: We have a problem with the way we currently do recognition. And second, recognition can and will make a difference to our companies. It’s time to do employee recognition differently. So join me and put on your rebel "cape" so that together we can start changing the results for our people and our businesses. 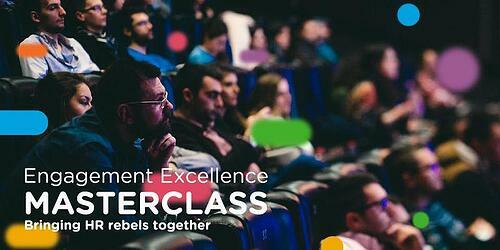 While we have quite a few blogs on the topic of improving employee recognition and I encourage you to read them for new ideas for employee reward and recognition, you can come join me at an upcoming event in Sydney Sept. 3 and 4 at our Engagement Excellence Masterclass, where we like to bring HR rebels together. Sign up below!